IT'S TOFFEE'S TURN: UMNO'S WANITA "TALK BIG CHIEF" REFUSES TO STAND ANYWHERE? UMNO'S WANITA "TALK BIG CHIEF" REFUSES TO STAND ANYWHERE? In what is viewed by many UMNO members both within the Wanita and the rest of the party as 'not surprising' Sharizat is reported to be dropping out or dropped out of GE14. 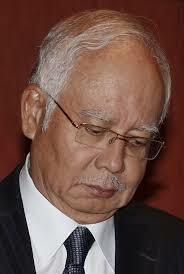 Will Najib sacrifice Pekan for the love Sharizat? One wanita member said "this was expected as the the majority of even the wanita feel that what she did Rafizi is wrong, "she was the guilty party here we all know that but, a Malay has to suffer for exposing her wrongdoing'" to which I retorted, "Sin (Dosa) or wrongdoing?" and she replied, "wrongdoing doing, bukan dosa." I did not argue knowing UMNO people and how she could turn it into a religious issue especially since I am not a Muslim, but then she went on to say, "Rafizi also should not have exposed a Malay leader that way, that is not so good." I was really confused, I left it at that. I was happy though, even UMNO members expected Sharizat not to stand, and is that why after an initial attempt to stand in Bandar Tun Razak she pulled out? Another UMNO member cited Ahmad Zahid Hamidi, he said "Zahid had requested Najib not to field Sharizat, the source tells us that Zahid told Najib, "you can bring her through the back door, but do not field her for the GE as she is bound to lose teruk, teruk and that will mean UMNO loses a seat and is made a laughing stock off." 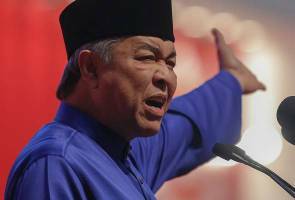 Zahid and Sharizat are no real "Kissin Cousins" either. Najib has not made any comment on Sharizat to date, he may use dropping her as an example that anyone can be dropped and they must accept it as gracefully as she does knowing she is reluctant to stand and in doing so he may then point to Sharizat, but little do most UMNO members know that she is personally requesting to be dropped, as she really can't win even if she stands in Pekan or Bagan Dato, and does not intend to humiliate herself. Sharizat's reputation has taken a beating since the famous "cowgate" scandal and it is not going to leave her unblemished throughout her political career, it will also come out strongly should she decide to contest the Wanita head's post if ever UMNO heads really do go into a free and fair party elections. Sharizat was a three time incumbent of Lebah Pantai Constituency and in the 2008 election had won the seat by a 15288 vote majority, but just 4 years later in 2008 facing Nurul she lost the seat she had been expecting to win easily, lost it by a 2895 vote margin, resulting in Sharizat openly and weeping over her loss, she never expected it in her wildest dreams, and that too by a lady who was hardly even 28 years old then. 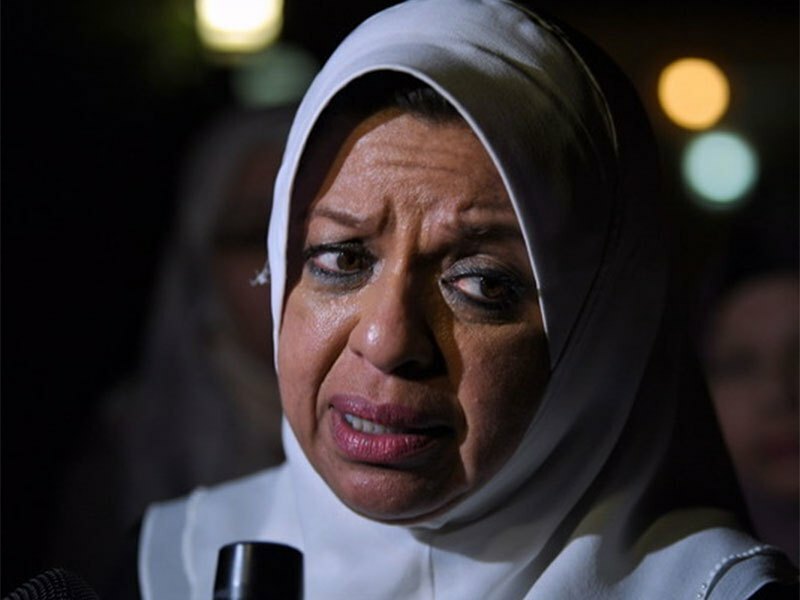 Sharizat would have been dropped much earlier, but she has very strong ties with a close confidante of Najib Razak, in fact his closest and it is spoken of even in the wanita circles, to the extent that many ministers fear to confront her on issues they do not agree with her on. Her mother has forbade her to criticise Mahathir Mohammad, and recently when she opened a salvo on him it is reported that she received telling off from her mother. The mother knows, it was Mahathir who gave her the opportunities in UMNO, although he did not influence the outcomes of the elections in the Wanita when Rafida lost to Sharizat, that was done by other UMNO ministers including .Badawi, Najib and some other senior UMNO SC members who saw Rafidah as a strong contender for the DPM's position. She was by far the best performing Minister in the Mahathir cabinet and all cabinet members from the other parties had great respect for her. After getting Rafidah out of office during Badawi's tenure, Foreign Direct Investment (FDI) was never the same and took a huge bashing, Malaysia lost one of its best Ministers of International Trade, the other was Mahathir himself..
You only have to listen to the arguments of both Rafidah and Sharizat to find out that the Wanita UMNO has never progressed since Rafidah's departure. The quality of talk is in itself so absolutely contrasting, one very eloquent with substance in her deliveries whilst the other talks like the woman who runs a mamak Teh Tarik shop. So will a record of sorts be set in the 2018 General Elections? Will the Head of the UMNO Wanita be dropped as a candidate from the Elections 2018.? BN AT LOGGERHEADS IN SEAT SCRAMBLE.